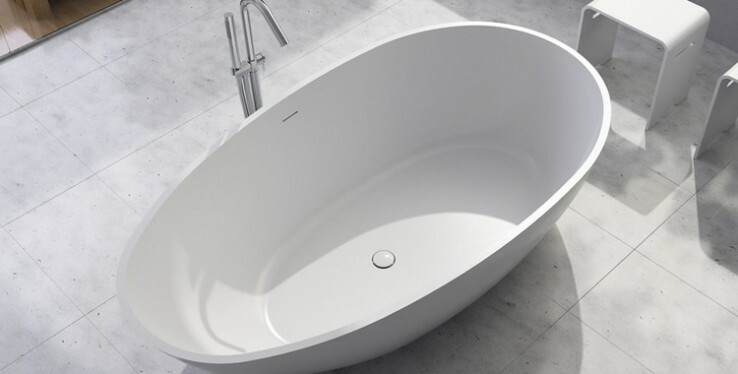 Smart bathrooms are part of a growing trend for luxurious bathing spaces in the 21st century, where homeowners are increasingly seeing the bathroom not just as a functional room, but as a place to retreat from the outside world and enjoy some relaxation in comfortable surroundings. There are a number of forces at work within this - and the modern luxury bathroom is a combination of natural materials, highly functional variations on those, and hidden technology. For example, a report from Technavio expects a 10% compound annual growth rate in the smart bathrooms market through until the end of the decade. This includes resource-efficient technologies designed to save water, as well as convenient solutions like automated flushing mechanisms and automatic faucets based on motion or proximity detection. Soumya Mutsuddi, lead analyst for heavy industry at Technavio Research, said: "Growing focus on energy conservation, maintaining hygiene, and sustainable development are boosting the demand for smart bathrooms. "With technological advancements smart bathroom products boast better functionality, reduce human intervention, and help conserve natural resources, thereby spurring the growth prospects of this market until the end of 2020." But luxury bathrooms don't always look like minimalist, clinical spaces - and often the technology is hidden behind materials that are very natural and tactile in their aesthetics, such as our natural stone tiles. There is always a need for function in a bathroom, and tiles must be hard-wearing, water-resistant and resistant to stains too, especially if the surface has been treated rather than being left as natural exposed stone. One great example of how nature and technology have come together is our range of wood effect tiles, which provide the performance you need in a functional space like a bathroom, with the natural aesthetic of wood grain. We have selected the very best porcelain wood effect tiles on the market, and these can be seen in our Cheshire showroom, helping you to imagine how they might look in your own bathroom, or anywhere else in your home.